West Coast Catholic: 2 Yrs Marriage Contracts: U.S? Well, its not here yet but its knocking at the back door...in Mexico. The proposal in Mexico by Mexico City Assemblyman Lionel Luna of the leftist Party of the Democratic Revolution (no surprise) is to have a 2 yr 'practice run' of marriage at which time if its not working out (according to how you feel when you wake up that morning), the deal is off, as if it never happened. Now every married couple knows that the first 5 years of marriage are the probably the hardest. 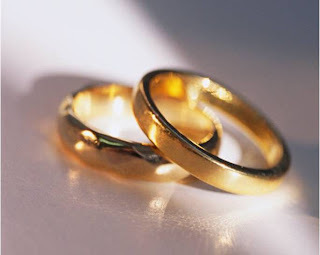 Naturally, the longer the marriage some of those bumps and pot holes in life can be very stressful in a marriage (illness, finances, children), in the first 5 years of marriage, the couple is just getting use to the word commitment. The fact that it's not all about 'ME' and that its a 'give and take' and compromising to make things work. Why do I bring up this article, because I don't see it out of the question for the government here to adopt such outrageous legislature. With the debt figures climbing, the goal of the government to rake in more taxes, it would only seem fare to presume it would be only a matter of time before they start looking at maybe eliminating deductions for children, make it more beneficial to file taxes as single, in the end to help facilitate that with a proposal such as Mexico. This administrations recently rescinded support for traditional marriage and some radical States (such as the one I live in - California) keep adding to their ant-family laws, well it may be only a matter of time. I pray that I'm dead wrong and this is only my opinion, but we need to be aware of legislation that's anti-family, anti-life. If we already except the killing of an innocent unborn baby for sake of convenience, the family and marriage is clearly in the cross hairs.